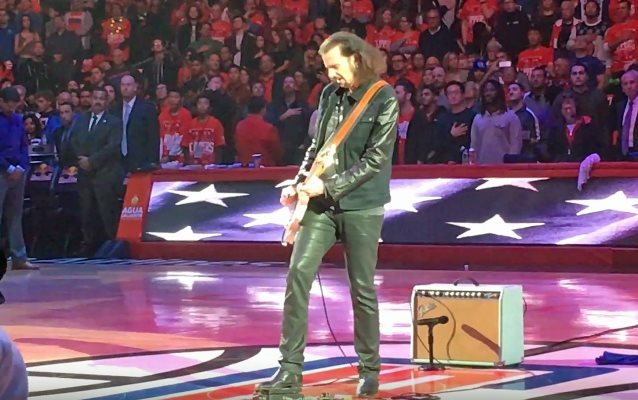 Video footage of former KISS guitarist Bruce Kulick performing America's national anthem when the Dallas Mavericks played the Los Angeles Clippers Friday night (December 23) at the Staples Center in Los Angeles can be seen below. In 1984, Bruce joined KISS, where he remained as their lead guitarist for twelve years, accompanying the band on the "Animalize" tour and continuing with the band until the 1996 reunion tour. 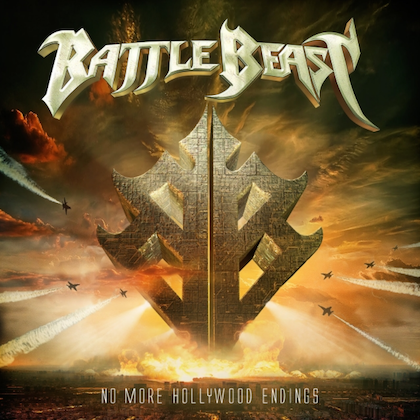 Bruce is heavily featured on "Kissology – Vol. 2" and "Vol. 3", the band's DVDs spanning their historic 40-year career. Speaking about his time in KISS, Kulick told California Rock News: "KISS is one of those bands that the whole world knows, and usually, people that aren't really a fan will only think of makeup as KISS, because that's what, of course, made them famous and they've been back in that for so many years. But a real fan knows there's a whole wealth of material — over a decade of years that are non-makeup, which is… I kind of wave the flag for all of that." He continued: "If you, for example, didn't know there was a makeup KISS, and there wouldn't have been a version for me to join if it wasn't for the makeup KISS, but the truth is… When I was in the band, we kept it going, we had hits, we had gold, platinum records, toured the world — arenas, the whole thing… But I find, even with them continuing, and they turn on new generations of fans. So they… For instance, they were in Japan not that long ago, and now they're going to South America, and now I'm seeing a lot of people following me on Twitter and Facebook [from] South America. In Japan, I picked up all these fans that started following me, 'cause [KISS recently] went to Japan. And they did something very smart in Japan, where they kind of were doing gigs with a very popular pop group of little Japanese women. And that was really interesting, even though it looks odd. But it exposed KISS, and what KISS represents, and everything about KISS' music and the vibe of KISS to a whole another generation." Kulick added: "I noticed I'm getting all these tweets from fans over there… It's written in Japanese letters; I don't know what it is. I go, 'Why would a 15-year-old know about me?' But, again, it's because [KISS is] out there. KISS is one of those bands that you just keep sharing, the same way, I'm sure… Now AC/DC is coming out with a new record and everything, and they're gonna be touring, so there'll be new 15-year-olds that will [go], 'Oh my God! AC/DC. This is amazing.' And that's what's great about the kind of music that I grew up with."